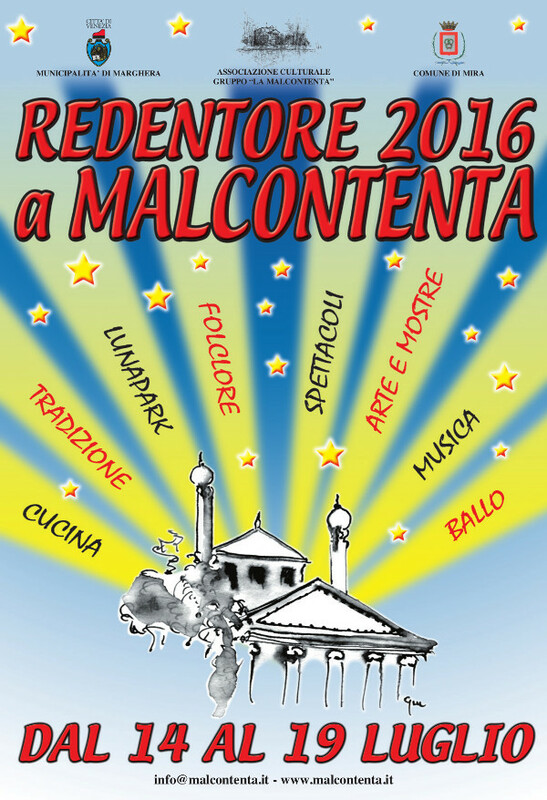 The Redentore Feast in Malcontenta from thursday July 14th to 19th 2016. Saturday July 16th fireworks show. The Redentore Feast in Malcontenta from thursday July 14th to 19th 2016. Saturday July 16th fireworks show. From July 1st at the Arena of Piazza Mercato, Marghera, the 36th edition of Marghera Estate and Opera Festival.